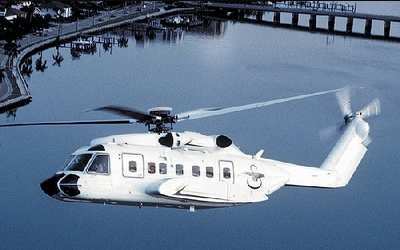 The National Transportation Safety Board has dispatched a team of investigators to assist the government of Korea in its investigation of yesterday's crash of a Korean-registered Sikorsky S-92A helicopter equipped with General Electric engines. At approximately 5:20 pm local time on July 19, the helicopter experienced a hard landing after colliding with trees and other ground obstacles while attempting a precautionary landing on a nearby helipad due to weather. The helicopter was consumed by a post-crash fire. Of the 16 persons onboard the helicopter, preliminary reports indicate that three persons suffered severe injuries and seven suffered minor injuries. Among those who were injured was The Rev. Sun Myung Moon, founder of the Unification Church. Moon was released from the hospital Sunday, reports The Associated Press. NTSB Chairman Mark V. Rosenker has designated senior investigator Bill English as the US Accredited Representative. His team will include an NTSB helicopter operations specialist, as well as technical advisors from the Federal Aviation Administration, Sikorsky Aircraft Corporation, and General Electric. The investigation is being conducted by the Korean Aviation and Railway Accident Investigation Board (KARAIB) of the Ministry of Construction and Transportation which will release all information on the progress of the investigation.